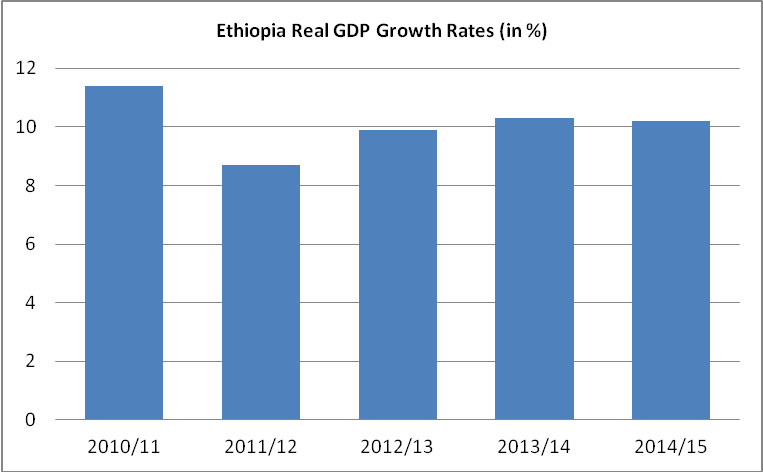 For the past 10 consecutive years, Ethiopia has been identified as one of the fastest growing economies in the world. For the last decade, it registered consecutive GDP growth rates of over 10.5% and is expected to sustain this course over the next three years. 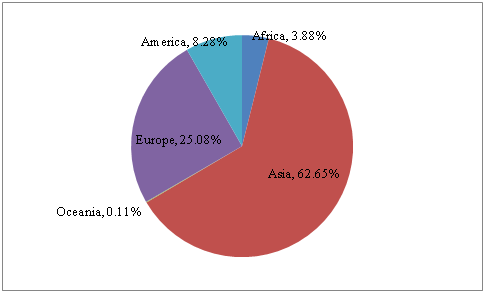 Between 2011/12, merchandise exports totaled USD 3.1 billion, while the value of imports, mainly from Europe and Asia, increased to USD 11.5 billion in 2012/13. Nevertheless, the overall balance of payments deficit in 2012/13 decreased significantly, down by 88% compared to the previous year the deficit in 2012/13, as a result of the surplus in the non-factor services trade, huge private transfers and the surplus in the capital account (African Economic Outlook, 2014). 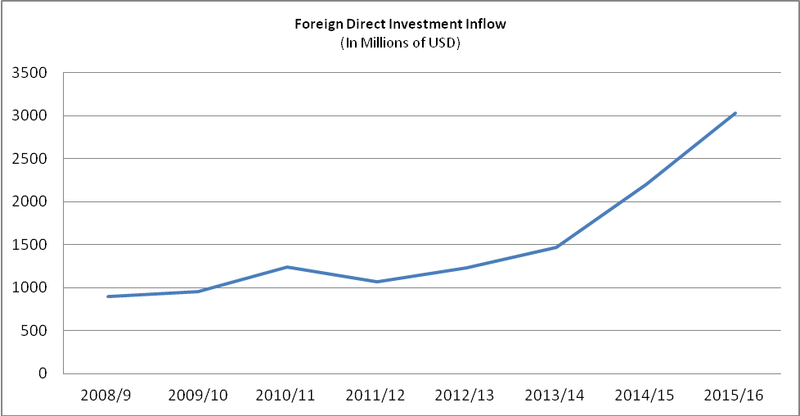 Ethiopia’s impressive domestic and foreign direct investment (FDI) performance in recent years started from very low track record. From 2009 to 2013, Ethiopia recorded a positive growth trend in domestic savings with tremendous boost from 5.2% to 17.7% of GDP. However, the investment gap remained wide. 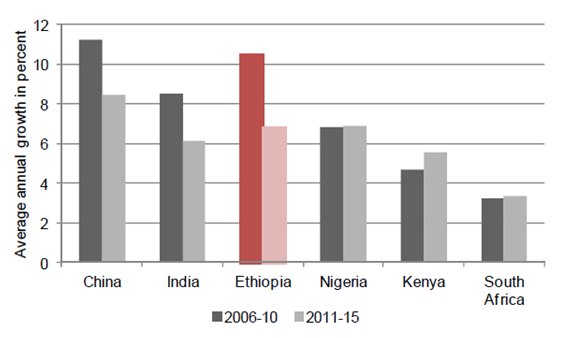 Similarly, FDI inflows to Ethiopia during the five years preceding the start of GTP I showed very limited increase (with the notable exception of year 2011), accounting among the least share in Sub-Saharan Africa. In 2012, the FDI inward stock as a percentage of GDP was as low as 11.8%, which fared poorly against East Africa’s average of 18.8%. Meanwhile, ambitious growth goals were set under GTP I and II which required significant investments. FDI, along with other measures, was regarded as essential tool to finance the national growth and development plans. The result was a significant increase both in the volume/size of FDI inflows as well as the number of projects initiated or implemented. The high level of economic growth, the provision of better infrastructure, the successive growth of market sizes and the government’s openness for FDI contributed to high profile investors targeting Ethiopia in the past few years. Hence, in 2014-15, Ethiopia rose to be included in the Top-10 investment destinations in Africa – recording 100% change in FDI flow. 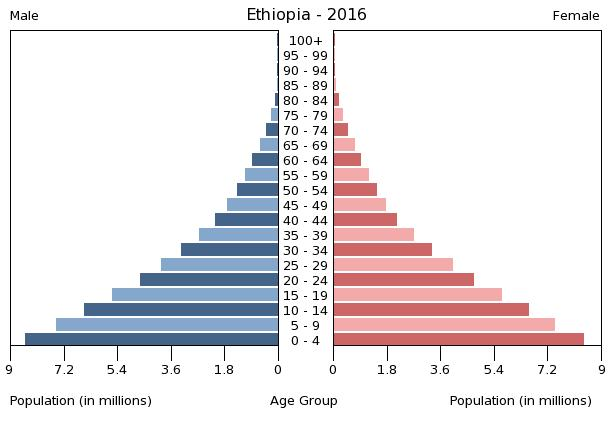 (The African Investment Report, 2015) Ethiopia also doubled its registered growth in manufacturing projects, in addition to parallel increases in manufacturing value added growth from 12 to 17 percent. FDI inflow to Ethiopia showed a continuous increase of more than 12% per annum, a fact which could be attributed to the country’s favorable investment climate. There are 34 public and four private universities in Ethiopia. Addis Ababa University is the oldest and most important university in Ethiopia, followed Jimma University; Haramaya University; Gonder University; Mekele University; Bahr Dar University; and Adama Science & Technology University. 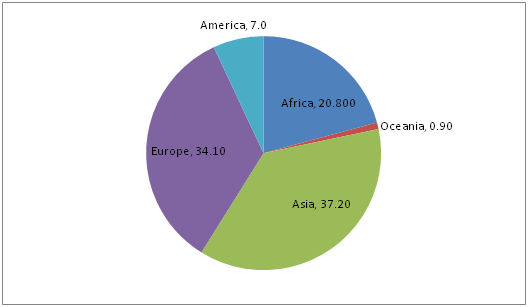 The main programs of most universities are Engineering, Medical Sciences, Agriculture, Information Technology, Business Education, Humanities and Law. These major programs of the universities are relevant to the country’s strategic economic sectors. Education enrollment has been steadily growing over the past five years across all levels of education. Source: FDRE, Ministry of Education, Education statistics annual abstract, 2007 E.C.